Qigong Master Lisa B. O’Shea teaches you to understand the different aspects of your body’s energy, how to determine if there is a problem in your circulation, and the qigong techniques to improve these issues. Lisa B. O’Shea teaches you how to understand the different aspects of your body’s energy, how to discover problems in your circulation, and qigong exercises to help you improve your health. Qigong (energy work) is a Chinese healing system that has been practiced for centuries. Part One. The five elements theory of Traditional Chinese Medicine. This theory divides the body into networks called organ systems, which control the energy flow in your body and are responsible for keeping you healthy and balanced. Part Two. Qi (energy) cultivation. Included are detailed discussions about how energy imbalances within organ systems can affect you physically and emotionally, and how those imbalances can influence the relationships you have with others. Part Three. The Yin Essence Meditation. Once you learn this powerful meditation, you can help increase your energy for longevity and constitutional health. This program is accessible to women of all ages and abilities, and can be practiced seated. Take charge of your health and develop a deep sense of balance in body, mind, and spirit. 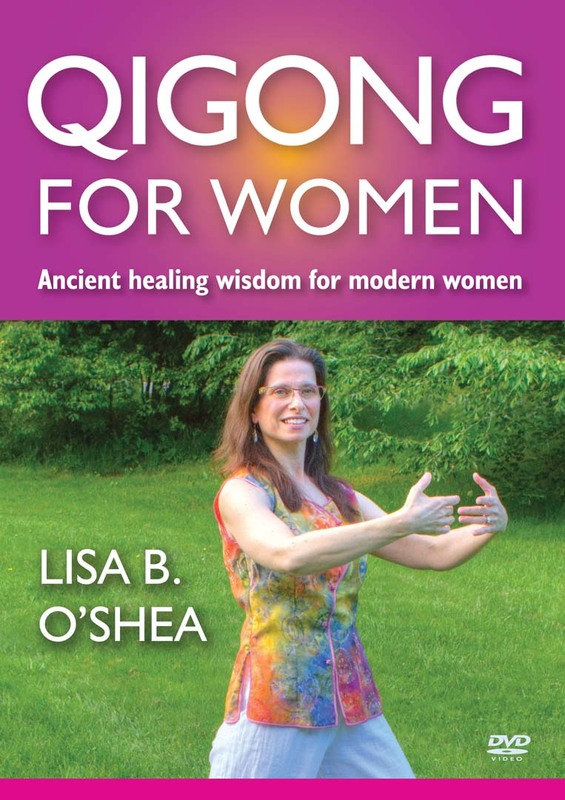 Download the Qigong for Women DVD booklet (PDF).